← CWDM SFP Transceiver: How Much Do You Know About It? BiDi transceiver, namely Bidirectional optical transceiver, is designed with WDM(Wavelength Division Multiplexing) Bi-directional transmission technology so that it can achieve the transmission of optical channels on a fiber propagating simultaneously in both directions. Actually, BiDi transceiver including BiDi SFP, SFP+, XFP, etc. are launched in the market few years ago, but as its high cost, it is not widely used by people. However, with the technologies and products gradually mature, the cost of BiDi transceiver is becoming less. And combined with the demands of new data center and the development of WDM systems, there is a very broad market prospect of BiDi fiber optic transceivers. This post aims to introduce the BiDi optical transceiver and compare it with the common one. As we know, the standard fiber optic transceiver is a self-contained device that can both transmit and receive. It is generally with two ports, one is TX port which is used to transmit the signal, and the other one is RX port which is used to receive signal. They work the same as the transmitter and receiver in macro perspective. The transmitter takes an electrical input and converts it to an optical output from a laser diode or LED. The light from the transmitter is coupled into the fiber with a connector and is transmitted through the fiber optic cable plant. The light from the end of the fiber is coupled to a receiver where a detector converts the light into an electrical signal which is then conditioned properly for use by the receiving equipment. Unlike common fiber optic transceiver, BiDi transceiver is only with one port which uses an integral bidirectional coupler to transmit and receive signals over a single fiber optical cable. Thus, BiDi optical transcevers must be used in pairs. 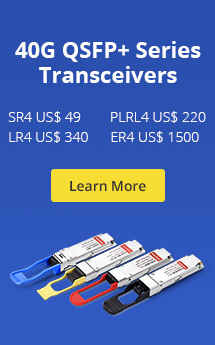 In general, the cost of BiDi optical transceiver is more expensive than the common one. This is why it is still not commonly used by people. 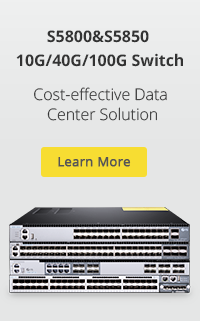 Though the cost of BiDi optical transceiver is higher than the commonly used one, it can save more money on optical fiber cost. Thus, in some cases, such as long-haul fiber optic transmission, it has a broad application. This is the main difference between BiDi tranceiver and the tranditional one. In addition, there is a difference of the optical subassembly between them. As we know, optical subassembly is the key part of fiber optic transceiver. To the common fiber optic transceiver, the optical subassembly includes two parts – TOSA(Transmitter Optical Subassembly) and ROSA(Receiving Optical Sub-Assembly) while the BiDi transceiver is used BOSA(Bidirectional Optical Sub-Assembly) to replace. This is the essential difference between BiDi optical transceiver and the commonly used fiber optic transceiver. 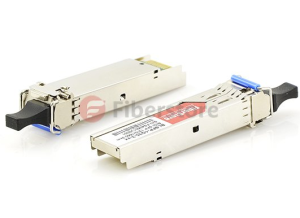 Similar with the commonly used fiber optic transceivers, there are several types of BiDi transceivers according to the package styles, such as BiDi SFP, BiDi SFP+, BiDi XFP, BiDi QSFP, etc. They can support different data rate and support transmission distance up to max 120 km that can meet the demands of today’s fiber services for carriers and enterprises. This entry was posted in Fiber Optic Transceivers, SFP+ and tagged BiDi transceiver. Bookmark the permalink.